Fig. 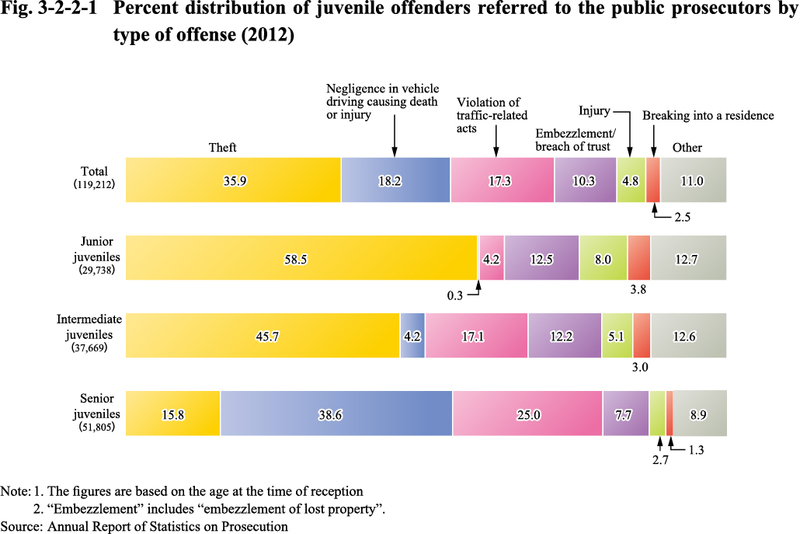 3-2-2-1 shows the number of juvenile offenders newly referred to public prosecutors by age group and type of offenses. (For the changes over time, see Appendix 3-8). Public prosecutors can offer opinions about the disposition they consider the most appropriate when referring juvenile cases to family courts. 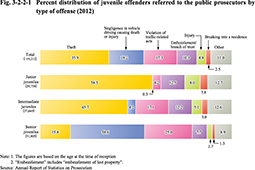 See Appendix 3-9 for the status of the opinions of public prosecutors about disposition of juveniles.